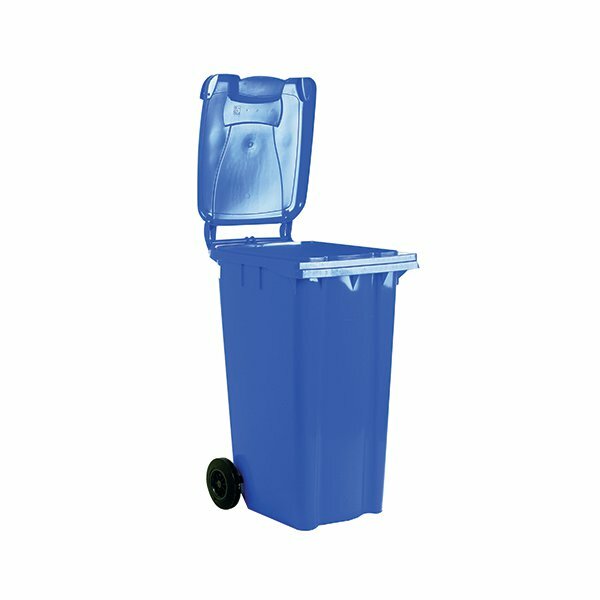 This tough and durable refuse container is made from UV stabilised polyethylene, which is weather-resistant and designed for long life. The lid and high quality plastic construction help keep odour contained and the 2 wheels provide easy manoeuvrability. This blue refuse container has a capacity of 240 litres.